WASHINGTON, DC, June 11, 2012 (ENS) – A federal appeals court ruled Friday that the Nuclear Regulatory Commission must formally re-evaluate the environmental risks of storing spent nuclear fuel onsite at the nation’s more than 100 nuclear reactors. “Determining how to dispose of the growing volume of spent nuclear fuel, which may reach 150,000 metric tons by the year 2050, is a serious problem,” wrote Chief Judge David Sentelle in the opinion of the U.S. Court of Appeals for the District of Columbia Circuit. The court held that the commission’s evaluation of the risks of spent nuclear fuel is “deficient,” invalidated the regulation and remanded the matter back to the agency, instructing it to fully comply with federal law. The case arose when four states, an Indian community, and four environmental groups petitioned the appeals court for review of a December 2010 Nuclear Regulatory Commission rulemaking that the long-term storage of radioactive waste at the nation’s nuclear power plants for 60 years beyond the licensed life of a plant is safe and has no adverse environmental impacts. The appeals court ruled that the NRC’s rulemaking, known as the Waste Confidence Decision Update, constitutes a major federal action requiring either an environmental impact statement or a finding of no significant environmental impact. Spent nuclear fuel now is stored onsite at nuclear power plants after plans for a permanent geologic repository at Yucca Mountain, Nevada were abandoned in 2010. The Department of Energy decided to withdraw its license application for the facility in consideration of seismic and other risks at Yucca Mountain. After four to six years of use in a reactor, nuclear fuel rods can no longer efficiently produce energy and are considered spent nuclear fuel, the court explained. Fuel rods are hot when removed from reactors and emit enough radiation to be fatal in minutes to anyone nearby. 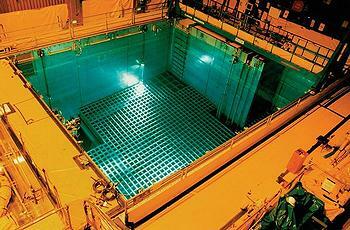 So the rods are stored on racks within deep, water-filled pools. 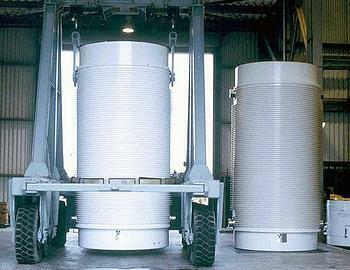 After the fuel has cooled, it can be transferred to dry storage in large concrete and steel casks, but most spent nuclear fuel will remain in spent-fuel pools until a permanent disposal solution is available. Second, in determining that spent fuel can safely be stored on site at nuclear plants for 60 years after the expiration of a plant’s license, the Commission failed to properly examine future dangers and key consequences, the court ruled. In delivering this ruling, the court sided with the petitioners: the states of New York, New Jersey, Vermont and Connecticut, the Prairie Island Indian Community, the Natural Resources Defense Council, the Southern Alliance for Clean Energy, Riverkeeper,Inc., and the Blue Ridge Environmental Defense League. “This decision means that the NRC cannot license or re-license any nuclear power plant, including the Indian Point facility in Westchester County, until it examines the dangers and consequences of long-term on-site storage of nuclear waste,” said Schneiderman. “The Court was clear in agreeing with my office that this type of NRC ‘business as usual’ is simply unacceptable. The NRC cannot turn its back on federal law and ignore its obligation to thoroughly review the environmental, public health, and safety risks related to the creation of long-term nuclear waste storage sites within our communities,” said Schneiderman. “Whether you’re for or against re-licensing Indian Point and our nation’s aging nuclear power plants, the security of our residents who live in the areas that surround these facilities is paramount,” he said. The Nuclear Energy Institute, a nuclear industry association that intervened on the side of the commission, was “disappointed” by the court’s ruling. “We are pleased that the court specifically affirmed the agency’s discretion to address the environmental issues in a generic fashion using an environmental impact statement or an environmental assessment with a finding of no significant impact,” Ginsberg said.